Most drivers in Oklahoma and across the country consider a head-on collision with a semi truck to be one of the worst traffic accidents possible. However, underride crashes are just as dangerous, if not more so, than other common vehicle accidents. 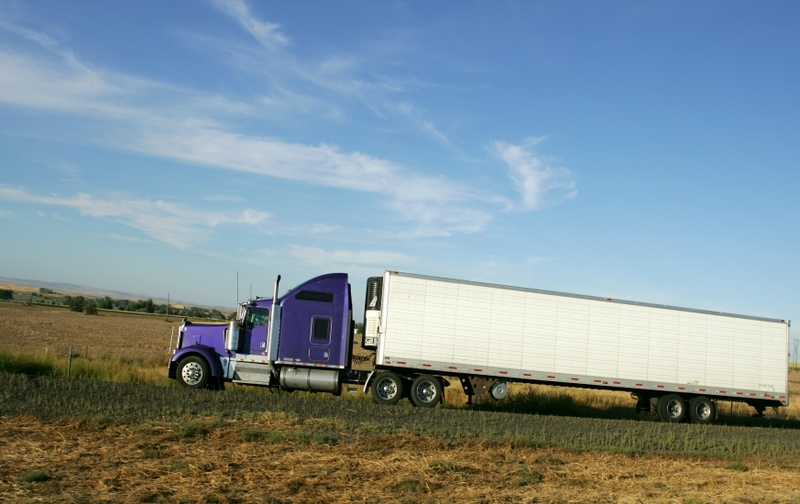 Commercial truck accidents can leave victims with serious injuries. Property damage can be significant and could cost several thousands of dollars in repairs. Unfortunately, most cars do not stay in one piece against a semi truck in head-on or underride collisions. The Insurance Institute for Highway Safety is looking into ways to prevent underride truck accident deaths. What is an underride truck accident? An underride truck accident is a collision where a smaller car rear-ends or hits a commercial truck from the side and becomes pinned underneath. In these cases, it is likely that the roof of the car will be flattened or sheared off from the accident. The end results from these crashes can be devastating. The driver and passengers involved can suffer severe head injuries and even death. Some victims are left with debilitating injuries that can become life-changing. The most common cause of underride truck accidents is when a driver fails to slow down or completely stop before colliding with the commercial vehicle. However, if a commercial truck loses control and causes a wreck, investigators will determine if negligent behavior is the main reason behind the accident. Negligent behavior includes distracted or fatigued driving, violation of company rules on consecutive hours on the road, and impaired driving due to drugs and alcohol. Other factors they investigate include defective or poorly maintained mechanical equipment, adverse weather conditions, overloaded cargo, and speeding or tailgating. All of these are some of the most common causes of truck accidents in Oklahoma. Earlier this year, the Insurance Institute for Highway Safety (IIHS) ran tests to determine the results from underride truck accidents. In each test, all of the passenger vehicles travelled around 35-miles-per-hour before colliding into a commercial truck from the side. One commercial vehicle used an underride guard and the results were astonishing. The car used in this test could not slide underneath the commercial vehicle when the underride guard was in place. Other tests used a fiberglass skirt that improved the truck’s aerodynamics, but couldn’t prevent a passenger vehicle from becoming pinned underneath. The testing showed that a car’s roof can be sheared off during an underride truck crash, which exposes the driver and passengers to serious head injuries. Anyone sitting in the front of the car is prone to head trauma even if the airbag is deployed upon impact. The IIHS concluded that using underride guards on commercial vehicles may prevent some of the deaths that occur in underride truck crashes. These findings forced the National Highway Traffic Safety Administration to consider adopting more strict standards for commercial trucks. However, none of the proposed changes have been approved at this time. Victims that have suffered injuries from underride truck accidents need guidance and assistance in obtaining the maximum amount of compensation for their suffering. It’s important to choose a personal injury attorney that understands how devastating an underride truck accident can be for the victim and their family. The pain can take a toll on your physical and mental health as well as your finances. Need legal help after a truck accident in Oklahoma? If you have been in a Truck Accident in Oklahoma, Texas, or New Mexico, contact Attorney Dean Boyd. Even if you are not in Texas, Dean Boyd and his team have the experience and knowledge to fight for your rights. We have won settlements for as much as $8.9 million dollars and have received many awards including the Texas Lawyer Top Verdicts and Settlements. Contact Attorney Dean Boyd today for more information about how we can help with your Oklahoma Truck Accident lawsuit. You can call us at (806) 242-3333 or Contact Us by email for more information about our Services. You can also visit our offices at 4423 SW 45th Ave Amarillo, Texas or 5012 50th St #103 in Lubbock, Texas.